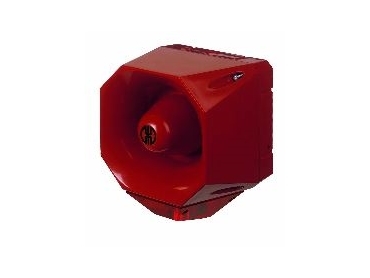 BALLUFF-Leuze's new range of the WERMA multi-tone siren 142 offers 42 easily selectable tone types and frequencies for the most diverse range of application from the indication of safety conditions to the indication of extreme danger. The multi-tone siren 142 offers a choice of defined international tones. The duration of the signal can be defined, for example, the automatic switch-off of the warning tone can be programmed with the greatest accuracy. Three tones can be triggered externally via voltage inputs. The volume can be set according to the background noise levels at up to 120dB. Many applications call for the reinforcement of the audible signal by an optical signal. WERMA's new optical-audible combination provides the optimum solution: the loud multi-tone siren 142 in combination with an intensive xenon flash. This flash/multi-tone siren has a flash energy of up to 3,5Ws and the 24V version offers four different flash frequencies. The optical and audible signals can also be triggered separately. The housing of the multi-tone siren and the optical/audible combination is made of high impact ABS and feature IP66 degree of protection.